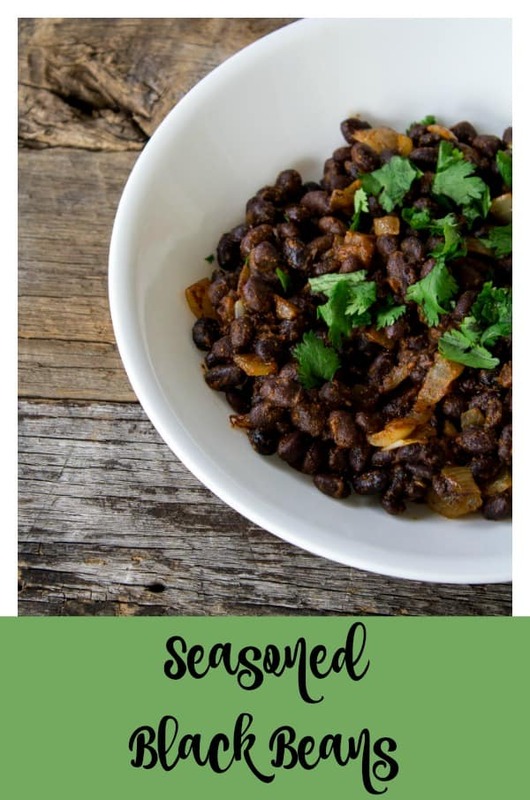 Seasoned Black Beans are easy to make and bring a huge flavor upgrade to your southwest themed recipes. 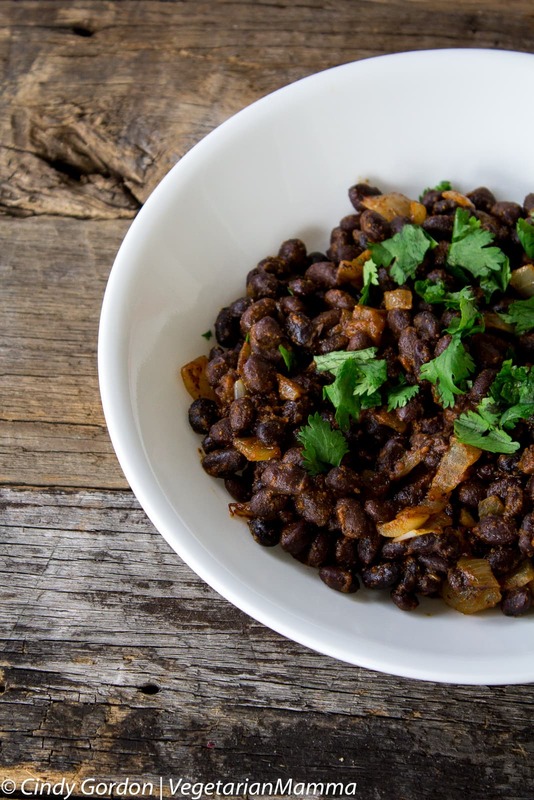 Whether you are making a burrito bowl or tacos, seasoned black beans are a must. This post is sponsored by Simply Organic as well as Mambo Sprouts. The opinions in this post as well as the recipe, are my own. To say that we eat southwest flavored food in our home often is an understatement. It is probably our most favorite type of food and we have it multiple times a week. 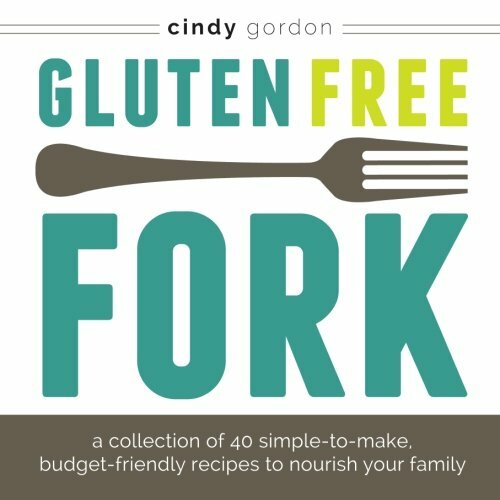 Whether we are having burrito bowls, tacos, soups or other delicious gluten-free food, we LOVE the southwest flavor! As you know our recipes focus on simple ingredients and minimal ingredients. Black Beans are something we often use in our southwest flavored or themed recipes. While you can eat plain black beans, we prefer seasoned beans! 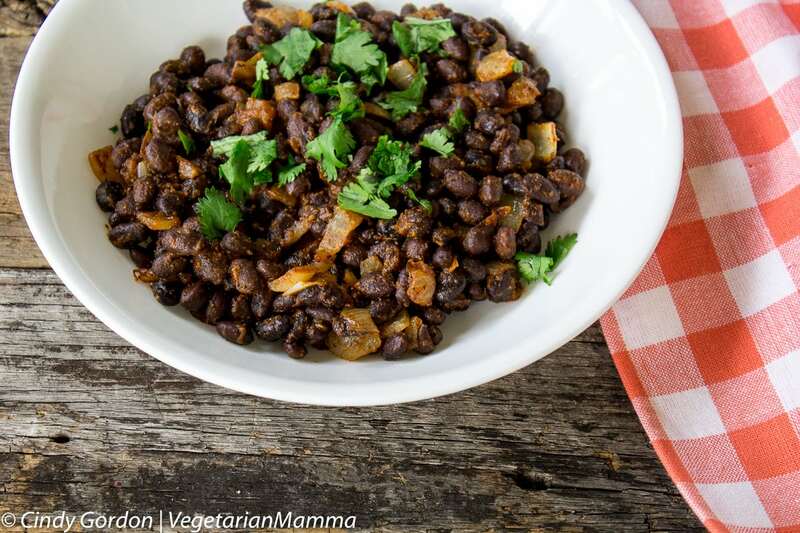 We love that extra KICK of flavor that seasoned black beans bring to the table! We have come to use many Simply Organic spices in our kitchen. This line of spices is naturally gluten-free, certified organic and nonGMO. 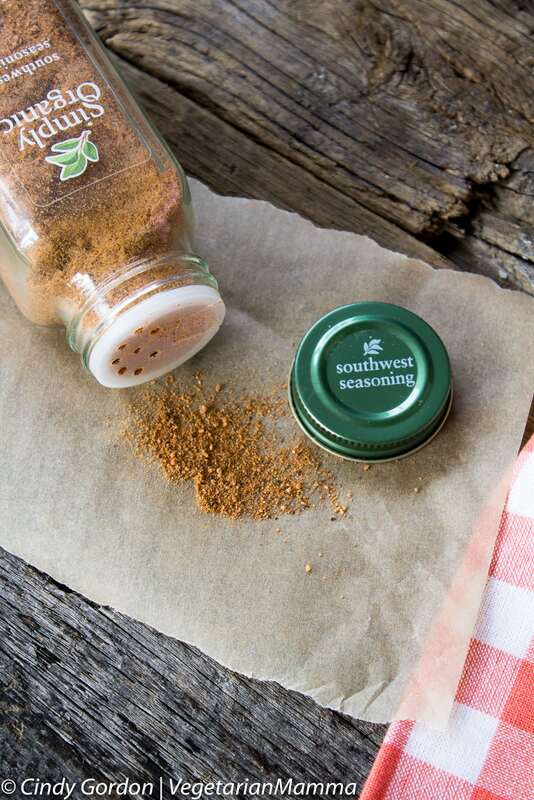 We recently added the new Southwest Seasoning to our arsenal of spices! 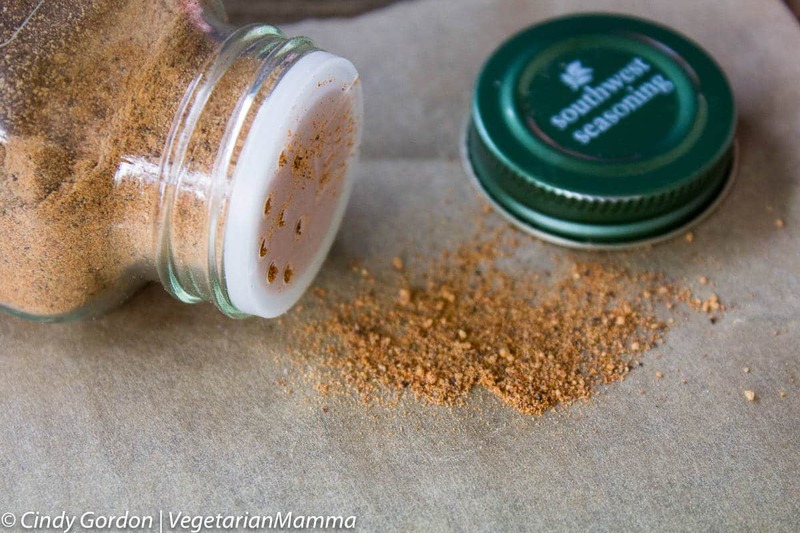 The Southwest Seasoning is a blend that features paprika, cumin, chipotle pepper and lemon peel. This flavor profile adds warmth and deep flavor to dishes. In the past we have used chili powder for our easy seasoned black beans, but now we are using this southwest seasoning. What’s neat about Simply Organic is that it is a brand of 100% certified organic spices, seasoning mixes and baking flavors. This brand was launched by Frontier Co-op in 2001. I bet you recognize those names! The selection of organic spices they offer is simply amazing! 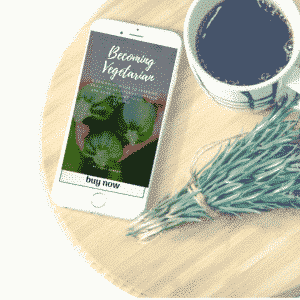 Simply Organic interacts with the community of clean eating by nudging engagement in cooking and eating with a purpose. 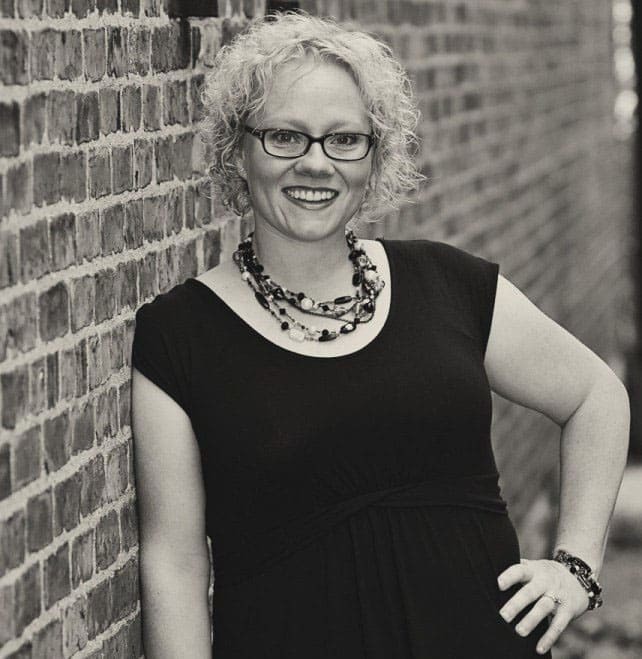 There is so much passion in this company and they hope to pass it on to the community. We want Simply Organic consumers to experience the feeling of “pure.simple.joy” that comes from making an organic meal and sharing it with the ones they love. Our life is busy, sometimes we use dried beans but we are talking about canned beans today. 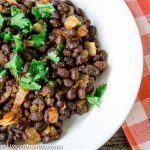 Honestly, this canned black beans recipe can be easily adapted to using dry bean, if you are familiar with cooking them. If you know how to cook black beans, go ahead and cook them up, and then follow the recipe from there. Since we are talking about beans, you might notice that many recipes suggest that you rinse and drain the beans from the can. Do you know why? Do you know what that bean goo really is? It actually might not be as scary as you think. Many times its a mixture of water, salt and some other ingredients to make a brine for the beans. You can totally eat it! Have you heard of aquafava? For this southwestern/mexican black beans recipe I always rinse my beans. This way I can start with plain beans then I add my own flavors in! 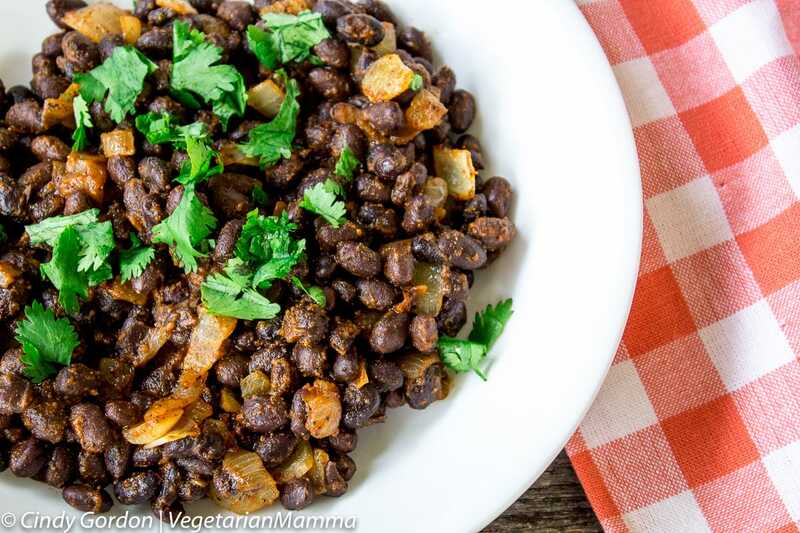 We LOVE these southwest black beans! They are perfect for topping your tacos, burritos and more! Just think: the most perfect seasoned black beans for burritos! Yes, it is this recipe! If you love this type of food, you MUSt try this Spicy Mango Avocado Yogurt Dip by Cotter Crunch. It would be perfect for topping your next taco! 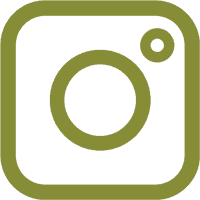 We have a delicious southwest flavored quinoa bowl recipe we are working on. These Southwest Seasoned Black Beans will be perfect for it! Be on the look out for this new recipe that is coming your way soon! You can add these beans to these tacos too. Yum! I promise one bite and you will say: Very good! You are going to love this side dish! Feel free to top with some fresh cilantro and a squirt of lime juice! In a skillet over medium heat, warm the oil. When oil is warm add in onions. Saute onions until soft and fragrant. Add in drained/rinsed beans, water and seasoning. Stir to coat all beans with seasoning. When beans are warm, they are ready to serve! Garnish with cilantro for extra flavor! Let’s talk! Leave me a comment telling me if you are a bean lover? Better yet, do you love southwest flavors? 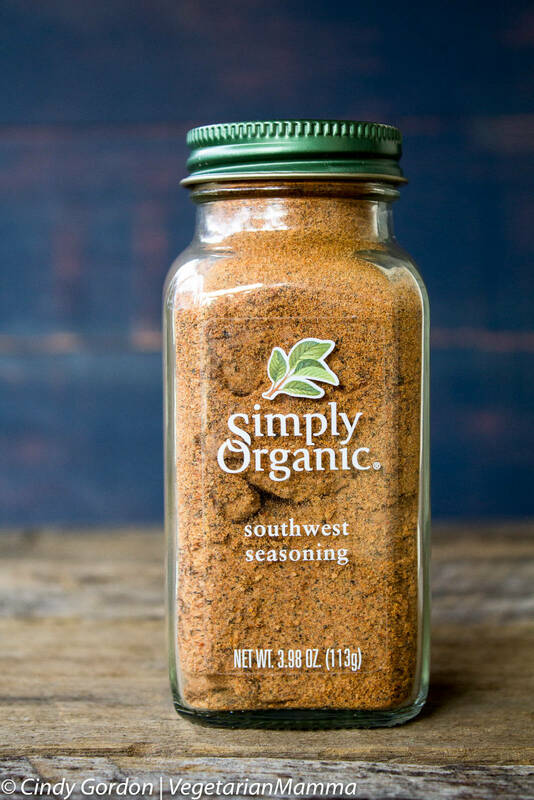 Have you tried Simply Organic spices before or seen them in the store? Yum! I love beans. Will definitely try. 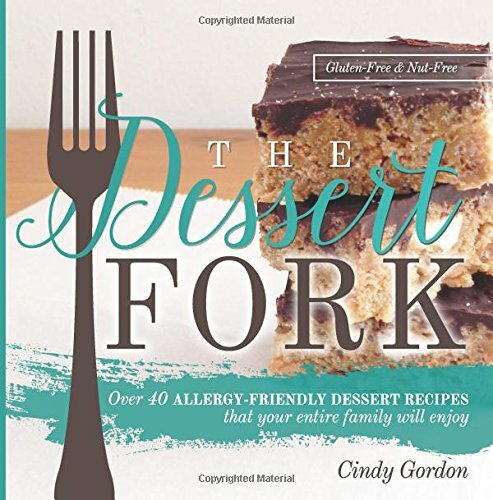 I’ve been looking for recipes that include more beans in my diet. This looks delicious. I do use Simply Organic products. I haven’t come across the Southwest seasoning. I’ll have to look for it. I do love black beans and stock up on them. Your recipe looks good. Yes, I like beans and my wife does, too. They’re a frequent component of our meals. And I generally like southwest flavors; these beans look good. I’ve purchased Frontier spices, but never the Simply Organic brand. But we use a lot of spices/herbs, and often buy in larger quantities instead of the little bottles.